A bedroom at home can be sanctuary for a teen boy, a great place to hang out with friends or have their own space as they need it. Why not consider making a teen bedroom a proper hangout for them. Get a beanbag chair to settle in and relax and watch movies, have a mini fridge for their drinks and snacks, have some fun games to help them destress such as a mini basketball hoop or a magnetic dart board (see the page on toys and games ) and some practical gifts such as a lapdesk to help them to study (see gifts for students). 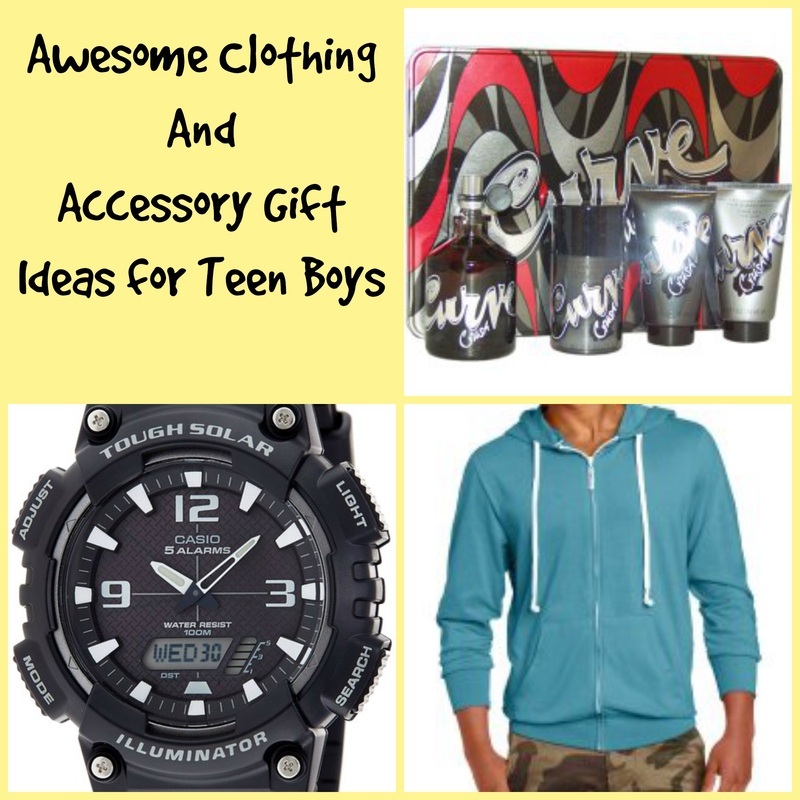 There are lots of cool alarm clocks for teen boys. If they find it hard to wake up the Sonic Boom alarm clock will help do the job. It has an extra loud 113db alarm with adjustable tone & volume control if it's just too much. It also has a super 12 volt bed shaker unit which will shake the bed. There's built in bright red flashing lights too. If you have a room mate or sibling who doesn't want to be woken up at the same time, then just switch off the alarm and just use the powerful bed shaker. A lapdesk is a nice functional accessory for teen boys to have in their bedroom especially if they like studying while sitting on the bed or the couch. The lapdesk featured is lightweight with a nice large flat surface area which can fit laptops up to 16 inches. There are built in mouse pads for both left hand and right hand person. On the bottom, there's handy zipper pockets which are very useful for storing a mouse or charger, very useful for keeping things organised. There's also a built in handle which makes it the lapdesk super portable. It's also great for using while traveling in a car or to take on vacation or to college. A bean bag chair is perfect for a teenager's bedroom or a dorm room. It gives an extra chair for relaxing, gaming, watching TV or reading. it's also a nice place for friends to sit when they come around. I love the color of the bean bag opposite (dark is always great for teen boys) but you can get them in lots of different colors and designs to suit different bedroom decor. Have access to lots of extra channels such as Netflix, Amazon Video, HBO GO, youtube, and Hulu, plus music, and more. The fire stick also has a voice control on it's remote. So ask to play your favorite program, to launch nefflix or play a specific song and it will do so immediately. You can even ask it to order pizza. 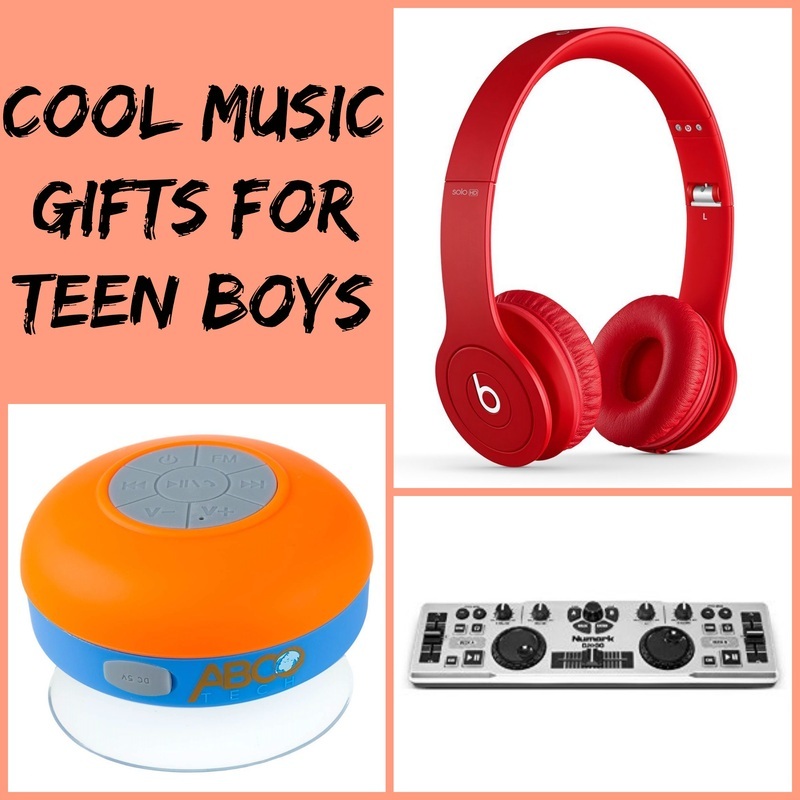 Many teen boys like to listen to their music and there are lots of different designs of speakers that would be perfect for a bedroom. If you have a big budget and like quality of sound, look for Bose speakers as they have amazing sound. If you want something really cool, check out the floating bluetooth speaker opposite. It connects via bluetooth to to your device such as a tablet, smartphone and will stream your music wirelessly from your device. It has a circular speaker system spinning in 360°, making sure everyone in the room gets the best uncompromising music quality ever. It has an excellent battery life of around 8 hours and it's easily portable to different rooms in the house. .
A bedrest is perfect to offer support and comfort when sitting on a bed looking a tablet, reading, watching TV, studying or just chilling out. 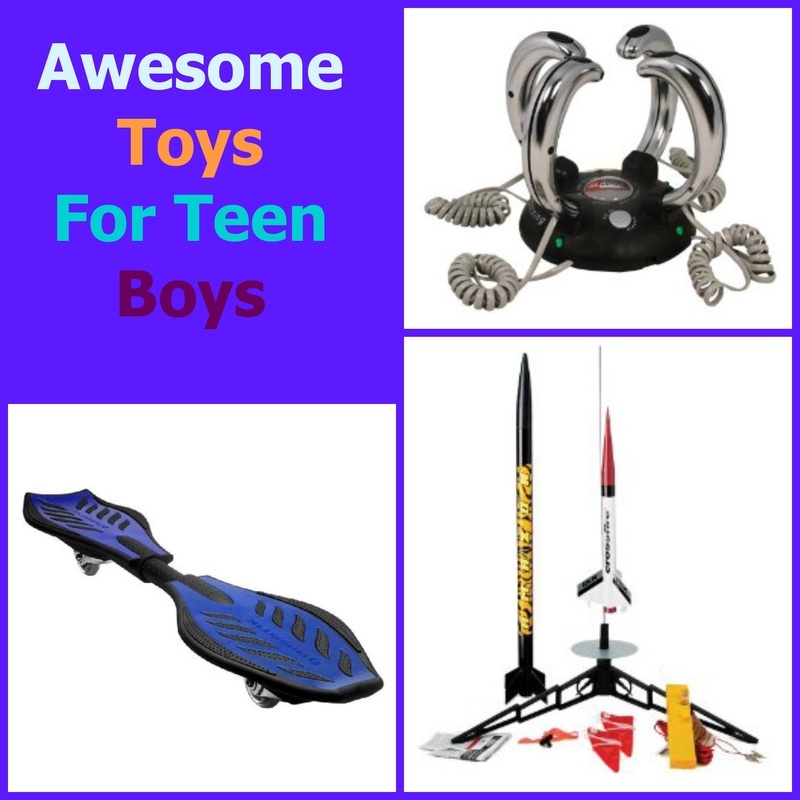 It's particularly great for a teen boy who likes to have his own space in his room and may spend a lot of time in there. It's also perfect for a dorm room. The bedrest has a carry handle so it's easy to move it from room to room. It's covered in soft fuzzy felt. There are lots of different bedrests in various colors so you should be able get one to match his room decor. This bag is designed to hold your laundry and be durable enough to take a punching. Encourge your teen boy to clean up his clothes and he can then use his laundry bag to de stress. It also makes a great gift for a dorm room too. You can hang your laundry in your bedroom or in the corner of the room if you wish. A mini fridge is a fantastic gadget to have in a teen boy's bedroom especially during the summer months. The retro fridge opposite can hold up to 12 6 oz cans of soda. So he could store a few drinks and snacks.. This is particularly useful when he's studying. He can keep his supplies so he doesn't have to interrupt his studies when he is in the flow. It's also great for when his friends come around. They don't have to come downstairs and disturb everybody else while they raid the kitchen. If the teenager is off to college soon, it also makes a useful and practical gift to have in a dorm room. Of course it can be used in studies, living rooms, a garage, a man cave or anywhere else it would come in useful too. If he's always running out of charge on his phone, laptop and other devices, he will probably appreciate this superfast charger to have in his room. It’s up to 4X faster than standard chargers and able to charge compatible devices to 80% in just 35 minutes. The other great thing about this device is that it has six different ports so he can charge all his devices at once if he wants too. Additionally if he is going away to college soon or he stays away from home a lot, he only has to bring one charger for all his devices. This makes packing and charging everything easy and convenient. It seems that laundry baskets which encourage teens to pick up their laundry off the floor and put it in the basket are extremely needed and popular. You’ve seen the laundry punch bag (above). Now find the laundry basketball hoop. The hoop has an over the door design. Once in place kids can shoot their laundry into the hoop. When it's time to collect the laundry just unzip the bag's bottom zipper and empty it right into your basket for easy transfer. It's not just for laundry either. Remove the hamper portion, and you've got an instant basketball hoop instead. It makes picking up all those dirty clothes, fun and life a little easier for Mom and Dad. There are many tablet stands that make it more comfortable to watch videos, read and surf the internet while lying or sitting in bed or on a couch. The tablet stand featured works with virtually any tablet, The hands free design enables you to look at your tablet on any uneven surface withouth having to rest it on your body in any way. It's perfect for watching movies and videos, reading, video calls, and other activities. What a great message to read on your pillow at the start of everyday. This pillowcase would be great in any teen boys room. It's also a fantastic gift if he's at college for his dorm room. The pillow case is excellent quality and made of 120 gram, silky soft microfiber fabric. The text is printed using a permanent fiber dyeing process that leaves the decoration soft and breathable so you can sleep on the decoration and not even feel it..